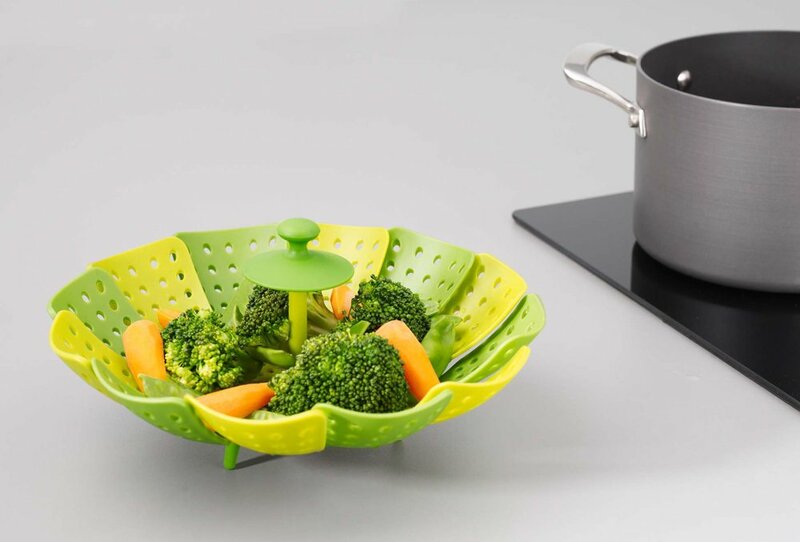 The classic steamer basket is taken to new levels of practicality and convenience with this colourful, contemporary version. free, folding, non-scratch steamer basket. It has silicone heat-resistant feet and finger guard to help protect fingers from scalding as you remove the food from your saucepan. 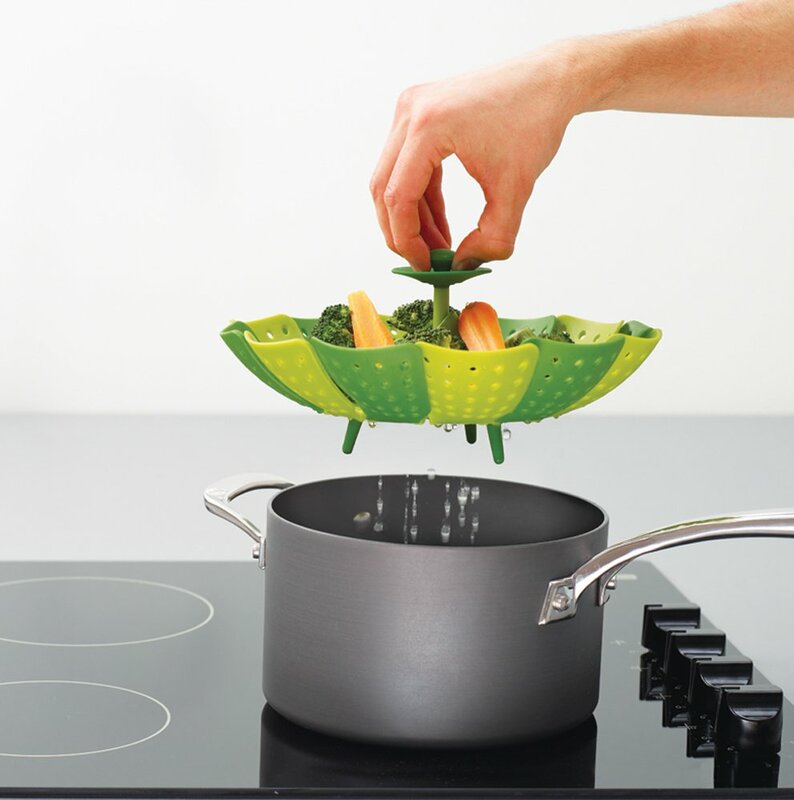 It's suitable for use with non-stick pans as well as stainless steel & glass.The width of the basket fully stretched out is 26cm, 14cm fully closed and is 12cm high (including the handle & feet).Made from high-quality polypropylene, the unit has self-adjusting sides to fit most pans, and has a large capacity when fully open – but folds neatly away for storage. Great home gift idea for anyone who loves stylish kitchenware! Polypropylene parts heat resistant up to 110ºC/230ºF; silicone parts up to 270ºC/520ºF.